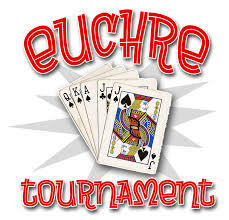 George’s is sponsoring a Round Robin style Euchre Tournament with all proceeds going to the Breast Wishes Foundation. $20 entry fee includes Pizza, Soft Drinks and Snacks. Prizes to the Biggest Winner, Biggest Loser and Last Loner as well as many Door Prizes. Join us for this FUN Event on October 15th at 5pm. Register at George’s by October 13th. Space limited to 100 entrants.